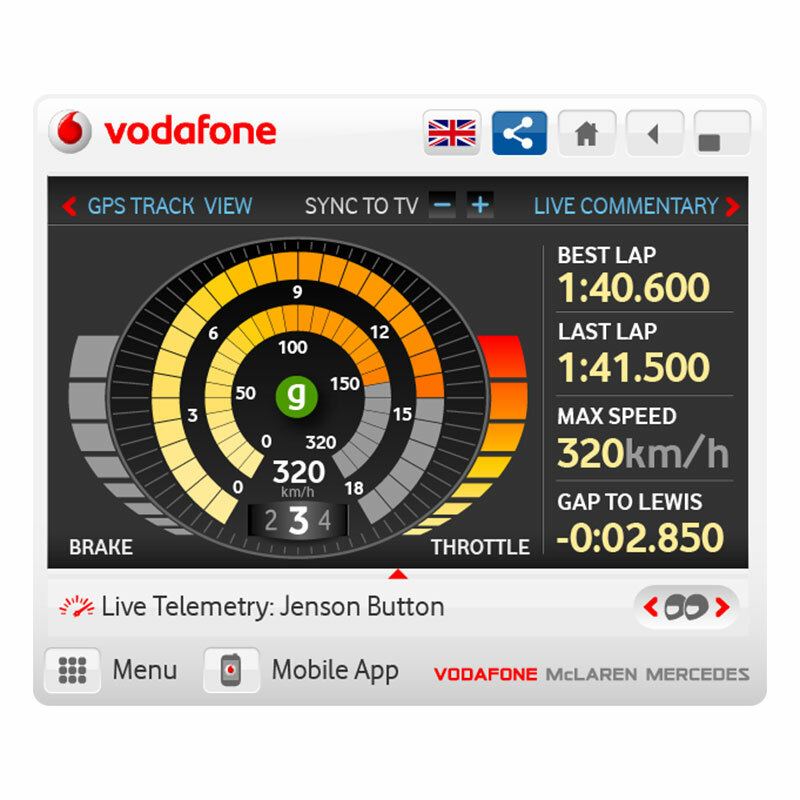 Formula 1 racing provides viewers with ever-increasing data on many aspects of each race, driver and on-track car performance. 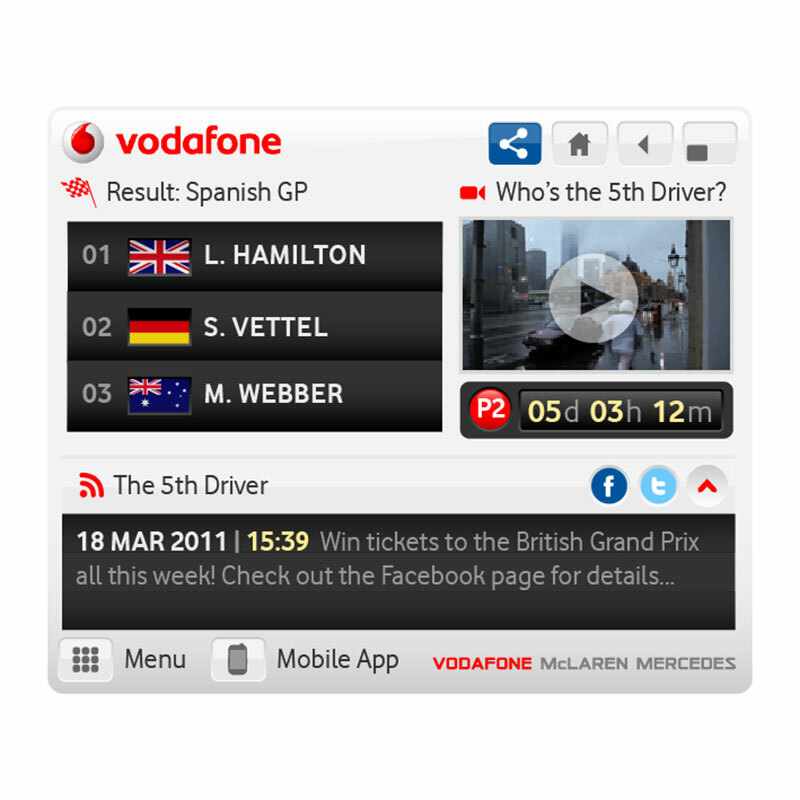 So, with this project for Vodafone McLaren Mercedes, we used game principles to take that data involvement to a new level, giving people reasons to visit and revisit. The basis was a dynamic, ad-servable microsite supported by a powerful CMS. Its job was to connect Formula 1 motor racing fans with different content experiences before, during and after each Grand Prix. It connected race fans with live telemetry on everything from steering angles to acceleration rates and speeds. 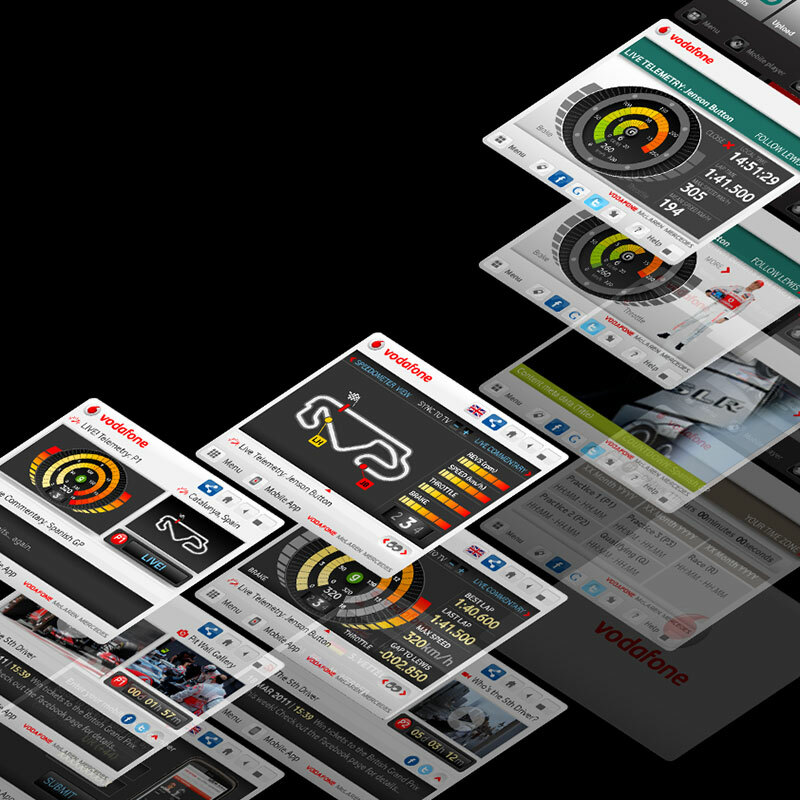 By using intelligent display advertising, appropriate content could be viewed during pre-practice, practice sessions and when the race was actually underway. The results were possibly the best ever for an ad-served unit. The average interaction rate was 20% of all impressions, with an average interaction time of 34 minutes over practice, qualifying and race sessions. We also saw over 1,000,000 shares via all networks over 9 months. If you would like to find out more about this project, please contact us. Stay up-to-date with our latest blog posts.  Yes, I agree to continue receiving emails from wethepeople (who will not share your details with 3rd parties).